Marvel had lots to live up to when they took over the reins from Dark Horse in telling Star Wars stories in comics. The first two issues of Darth Vader prove they’ve achieved that aim. Darth Vader is everything you’d expect plus some. Vader’s personal agendas, combined with a Empire struggling to regain its feet after the loss of the (first) Death Star make for a great story. Kieron Gillen’s writing is strong and like Jason Aaron’s work on the flagship Star Wars title, replicates the atmosphere of the original movies beautifully. 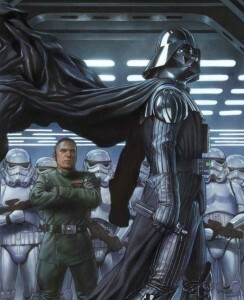 Salvador Larroca’s art is top notch as well, with some great full page Darth Vader art to stop and savor. The scene in Jabba’s palace with the full audience is alone worth the price of admission. It’s been way too long since I’ve been truly excited about Marvel titles, but Darth Vader (and Star Wars) are definitely in that category at the moment. Why are you not reading this?